I've been putting this off for a little bit. Not because I didn't want to write it, oh no. My fridge, apart from the brews I've purchased for blogging purposes, is full of awful beer (Natty Light). So, I've been hankering to get something good down my gullet, and, man, does Winter Solstice seem promising. Nope, I've been putting this post off because this week was largely unseasonably warm in Cincinnati. I know that some of the country is still dealing with the fallout of Snowmageddon 2016. That's cool. While they were doing so, I was with struggling to find my warmer weather clothes (it was in the 60s a few days ago. It's February). Seeing as how this is a winter ale, it felt wrong to try it under those warmer circumstances. 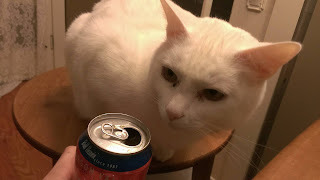 However, now it's back to being cold as all-get-out, so I figure I might as well crack the can and discuss what I find. Anderson Valley Brewing Company is located in Boonville, CA. The company's "About Page" informs me that they've been around since 1987 and that they were one of the first twenty recognized craft breweries in the United States. What began as a meager brewhouse in a brewpub quickly expanded (in just over a decade) to a three-story brewing operation that boasts brew kettles imported from an old German brewery. 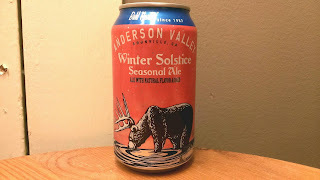 With their nearly thirty-year pedigree, I have high expectations of Anderson Valley's Winter Solstice. The brew is crafted with three different kinds of malts and two types of hops, according to its official webpage. That same webpage also states that the ale is modeled after the traditional winter warmer style; has hints of caramel, toffee, and spice; has an ABV of 6.9%; and has a "...creamy finish...."
If they're right, then finish isn't all that's creamy--the aroma is, as well. Sure, I get the caramel and toffee. But I also get some of that lagery, toasted bread quality and just a tiny hint of kettle corn. 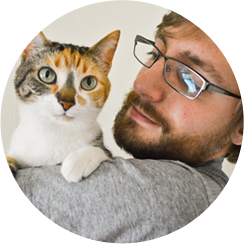 Háma, my other cat, thought it was pretty good. He even gave it two whiffs (his beer-sniffing palate is not as refined as Purrl's). For those dying to know, Purrl gave it five whiffs. I get more caramel from Winter Solstice's flavor than I do toffee or spices. It's dark and sweet, almost chocolatey. It really does warm you up. And, it does so without getting you drunk in the process! Many other winter warmers carry hefty ABVs bundled with alcoholy tastes. This isn't the case with Anderson Valley's take on the style. They seem content to let the wonders of their flavor do the talking, without needing the alcohol there to layer over it. Having said that, there is a slight bourboniness to the brew, but it pairs perfectly with the sweetness and enhances the flavor rather than washing it out. In terms of mouthfeel, it is very creamy. There's carbonation in the ale, but instead of causing fizziness, it only gives it a touch of body by filling in areas where flatness would be noted. Nice and simple. Not over-the-top. Right before the official start of each winter, I boot up my copy of The Elder Scrolls V: Skyrim. This usually happens mid- to late-November. I need to make sure I have plenty of time (and enough beer) to become fully enveloped in the world of the game. For the uninitiated, Skyrim is a game that takes place in an open, high-fantasy world (think Grand Theft Auto meets The Lord of the Rings). You take on the role of an adventurer and pretty much do whatever you want. There's a story to follow where you kill a dragon and save the world, but you can stay away from that if you're not feeling it. Instead, you can go around hunting, blacksmithing, stealing, or generally causing ruckuses to your heart's content. My character is basically a viking berserker (or, for those familiar with the game, a Nord tank). He likes to drink, and, especially when I'm playing the game, so do I. For those occasions I used to reach for something good and dark. From now on, though, I'll reach for a Winter Solstice. 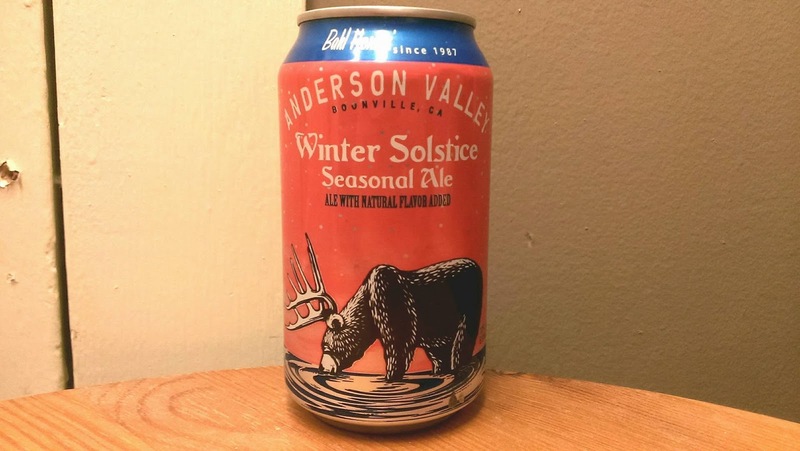 I don't know if I'd call Anderson Valley Brewing Company's Winter Solstice Seasonal Ale the perfect winter warmer, because I don't know if such a thing exists. But, I will go so far as to say that Winter Solstice is the best winter warmer ale I have ever had. As such, it gets the absolute highest recommendation I'm able to give a beer: a 10/10. Take it from me: This ale is exceptional. Buy and consume on sight.